The term medium has several different meanings in art. For starters, it is used to describe the substance that binds the pigment in paint. It is also called a binder, vehicle, or base. In acrylic paints, this is a synthetic substance. In oil paints, it is a natural oil such as poppy or linseed oil. In tempera paint, it is egg yolks. The plural is mediums. A medium can also be something mixed with paint to change the body of the paint in some way. For example, a gel medium is used to thicken paint for impasto. The plural is mediums. 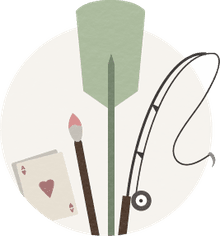 To add to the confusion, the term medium is also used to describe the materials an artist uses, or simply the type of paint, such as oil, acrylics, or watercolors, as well the type of support, or surface used for painting. The plural is media. For example, the description "oil on canvas" indicates an oil painting done on a canvas surface; both oil and canvas are the media used. 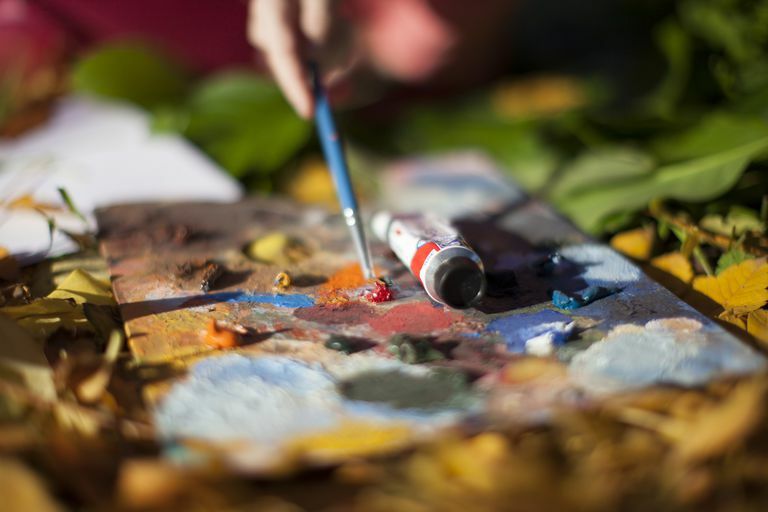 A "mixed-media" piece is one consisting of multiple media - for example, acrylic paint, graphite, and oil stick on a single surface or on a support consisting of canvas and newspaper. Oil and acrylic paints can both be used straight from the tube and are very stable that way, but there are many different mediums that can be added to them to alter the drying time, finish, consistency and flow of the paint. Mediums for oil painting include diluents and thinners such as turpentine and mineral spirits, as well as oils such as linseed oil, poppy oil, safflower oil, glaze medium, beeswax medium, and alkyd, which is a translucent synthetic resin that speeds up the drying time and increases paint flexibility. You should use as little medium as possible to get the effect you want with oil paints since they can cause some slight yellowing of your painting over time. Acrylics are water-soluble and can be mixed solely with water for painting, or with a variety of acrylic mediums. There are many acrylic mediums available for different effects, from thinning and glazing to thickening and impasto effects; for a range of finishes from matte to glossy; for a textured finish; for retarding drying time; and for varnishing. Acrylic mediums appear white but become transparent when dry. Acrylic mediums (versus additives such as retarder) are made from the same acrylic polymer that acrylic paints are made from, so you can add as much as you want to the paint without affecting the chemical composition. With additives, you need to follow the directions on the tube or bottle. Fat over lean: In oil painting, it is always important to follow the adage "fat-over-lean." This means use less oil in the initial layers of a painting than in the later layers in order to make sure that each successive layer is more flexible than the preceding layer. Winsor & Newton's Liquin Original Medium (Buy from Amazon) improves flow and speeds drying time, keeping paint flexible so you don't have to continue adding oil to top layers. Thick over thin: Also, paint thick-over-thin to avoid cracking. This is because the thin layers dry faster and you don't want the surface layer drying faster than layers beneath it. Keep your initial layers thin by mixing them with turpentine. Keep your thick impasto layers until the end. Slow-drying over ​fast-drying: The same is true for paint that dries faster. Faster-drying colors should be used as initial layers of a painting rather than on top of a slow drying color. If you want to use a slower-drying color in a top layer you can add a drying medium to it to such as liquin (most popular with artists) or try Alkyd Gel Quick Drying Medium (Buy from Amazon) to speed up the drying process and extend colors. Understanding the 3 Oil Painting Rules, Winsor & Newton.